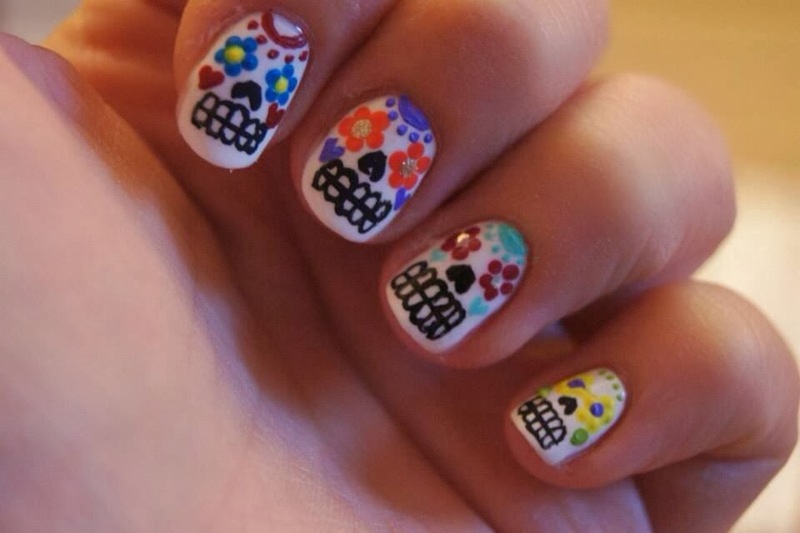 Halloween is just around the corner and although I'm not that big on Halloween, I couldn't resist but challenge myself with what seems to be this year's favourite design: Sugar Skulls! I'm not into skulls in the slightest! 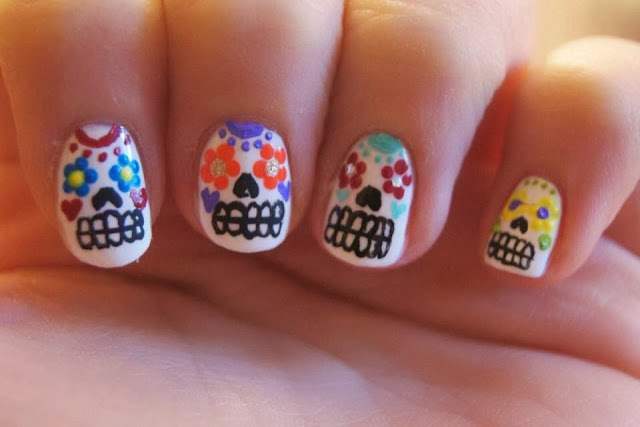 but for skulls, these are actually quite pretty! What are you wearing on your nails for Halloween? !